It's Day 2 of the Neat & Tangled April release and I have another set to reveal. This one is called Mommy, Daddy, and Me. This set has the sweetest mommy/daddy and baby pairs. I made a little shaker card with the shaker being inside the conversation bubble. The background was done with three of my faves: Distress Oxides, star glitter, and mirror sequins. 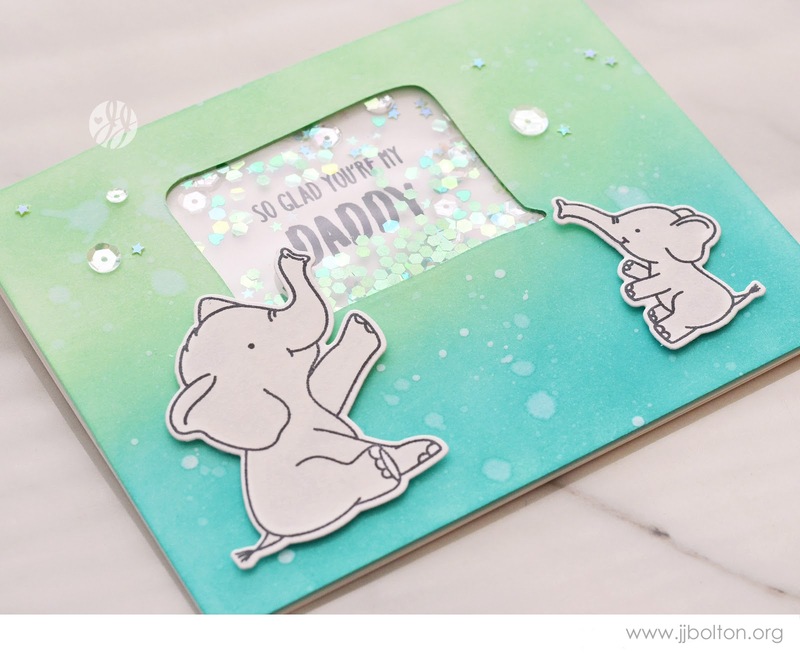 How cute are those elephant stamps? 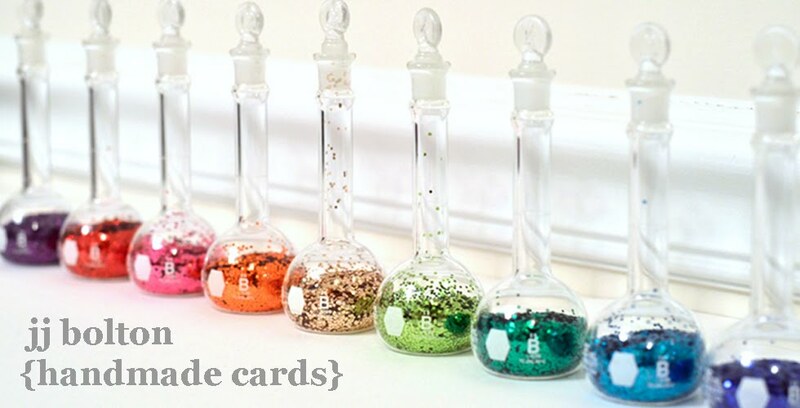 Lovely shaker card, so cute! An absolutely adorable card! Love the colors and such a clever idea to use the speech bubble that way. That’s such a super cute shaker !! Loving the inking and water splatter and that little speech bubble is perfect! 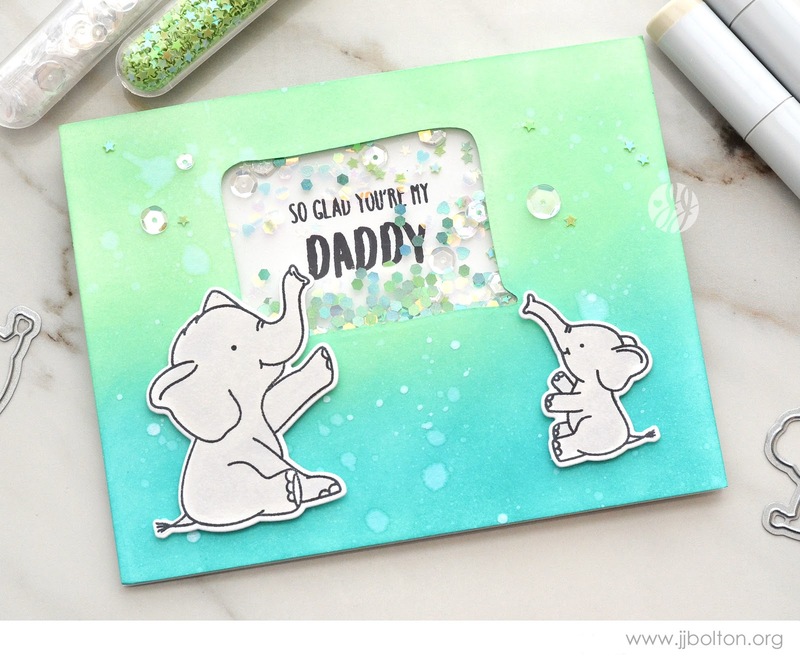 Darling shaker card and beautiful blending with your Oxide inks!